Ian Hogg, 46, of Northend Close, Petworth, was fined £40 and must pay £30 victim surcharge, £85 costs, after admitting driving over 70mph on the A27 Mill Lane bridge, Westbourne, on November 28, 2017. His driving record was endorsed with three points. Nebee Eskandari, 27, of Christy Close, Dilton Road, Stone Cross, was fined £50 and given a community order with Drug Rehabilitation Requirement and Rehabilitation Activity Requirement after admitting stealing two Braun shavers, four Clearblue fertility monitors and eight XLS tablets, worth a total of £1,719.94, from Boots, Chichester, on July 2, 2018. He must pay £85 victim surcharge, £85 costs. He also admitted breaching a conditional discharge order, no action taken. James Wood, 35, of Crouch Cross Lane, Boxgrove, was fined £30 and must pay £60 costs after admitting breaching supervision requirements following release from prison by failing to keep in touch with his supervisor since August 2, 2018, and failing to attend scheduled appointments on March 6, March 13 and September 13, 2018. Oliver Booth, 23, of Middleton Gardens, Tangmere, was fined £600 and must pay £60 victim surcharge, £85 costs, after admitting drink-driving (68mg of alcohol in 100ml of breath) on the A29 Shripney on September 22, 2018. He must pay £60 victim surcharge, £85 costs, and was disqualified from driving for 18 months. 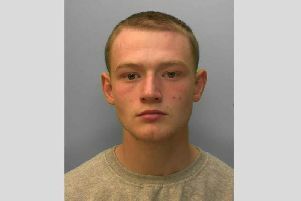 Josh Boultwood, 26, c/o Rochester Street, Brighton, was given a community order with Rehabilitation Activity Requirement and must carry out 60 hours’ unpaid work after admitting stealing goods worth £439.96 from Boots, Chichester, on June 11, 2018; stealing goods worth £339.97 from Boots, Chichester, on May 28, 2018; stealing goods worth £343.96 from Boots, Burgess Hill, on June 11, 2018; and stealing two Oral B toothbrushes worth £199.98 from Superdrug, Lewes, on April 29, 2018. He must pay a total of £539.95 compensation, £85 victim surcharge, £85 costs. Michael Cadwell, 73, of Shipton Green, Itchenor, was fined £265 and must pay £30 victim surcharge, £150 costs, after admitting failing to provide a specimen for analysis when required at Chichester Police Station on July 7, 2018. He was disqualified from driving for 12 months. Yvonne Smith, 57, of Van Dyck Place, Bognor Regis, was fined £500 and given a community order with four-week curfew, electronically monitored, from 7pm to 7am daily, after admitting dishonestly failing to promptly notify the DWP of a change in circumstances, namely capital over the limit, affecting Employment Support Allowance between March 18, 2013, and April 3, 2017. She must pay £50 victim surcharge, £85 costs. Jacek Koczwara, 47, of Bradshaw Road, Chichester, was discharged conditionally for six months after admitting assault by beating in West Ashling on July 22, 2018. He was fined £285 and must pay £30 victim surcharge, £85 costs, after admitting drink-driving (75mg of alcohol in 100ml of breath) in Broyle Road, Chichester, on July 22, 2018. He was disqualified from driving for 18 months. Daniel Ryan, 25, of Lockgate Road, Sidlesham Common, was given a community order with four-month curfew, electronically monitored, from 7pm to 7am, after admitting using threatening, abusive or insulting words or behaviour with intent to imply immediate violence would be used or provoke the immediate use of unlawful violence in Chichester on May 27, 2018. He must pay £85 victim surcharge, £250 costs. Tim Gordon, 39, of Oakwood, Chichester, was fined £1,057 and must pay £105 victim surcharge, £150 costs, after being found guilty of driving over 70mph on the A27 Westbourne on November 28, 2017. His driving record was endorsed with three points.